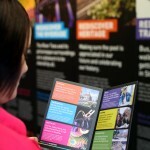 The Stockton-on-Tees Visitor Information Centre (VIC) is located right in the heart of Stockton Town Centre. Pop along for a whole host of visitor information and accommodation guides covering England, Scotland and Wales. The centre also stocks loads of leaflets about visitor attractions and events, as well as maps, books and a fabulous range of gifts and souvenirs – including some brilliant items to celebrate Stockton’s railway heritage. 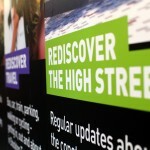 And that’s not all; you can find out about our plans for the transformation of the High Street with a huge wall display showing the key changes, and a dedicated officer (Birse Civils) to answer any questions about the works available every Wednesday between 10am and 2pm. The VIC team will also be delighted to help you make the most of your visit, holiday or short break with information about what to do, where to go and how to get there. 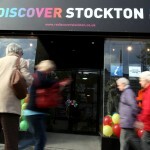 Visit: Rediscover Stockton, 134b The High Street, Stockton, TS18 1LP.